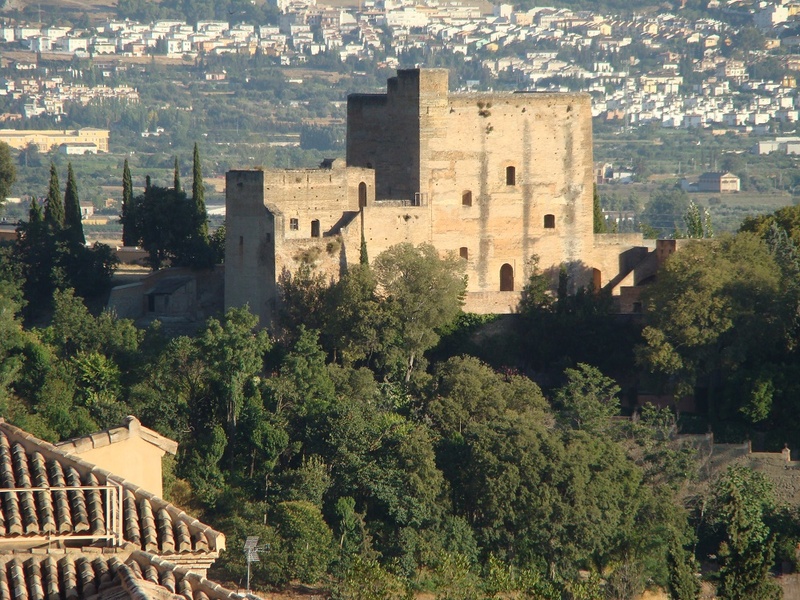 On 1st October 2015, in Granada, European projects RICHES, E-Space, Civic Epistemologies, PREFORMA and the international association Photoconsortium were invited in a panel organised by Promoter SRL under the title “From Digitisation to Preservation, Creative Re-use of Cultural Content and Citizen Participation”. 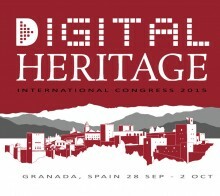 The panel was hosted by Digital Heritage 2015 (28 September-2 October 2015) as part of the conference programme. If the amount of digitised cultural heritage in Europe is impressive (and holds a great potential of impact on society, since makes that heritage more accessible to citizens, students, researchers and generates benefits to the content owners), yet only a tiny percentage of the European cultural heritage is digitised and nowadays more and more attention is paid to those collections, hitherto unknown or not fully acknowledged, that are preserved in European States which relatively recently joined the Union. Furthermore, certain kinds of cultural heritage, such as early photography, are not preserved by memory institutions but are in the hands of private citizens, who should be invited to share their holdings with the whole community. It is therefore necessary that the digitisation activities go ahead in the coming years and acquire a more participatory approach. Once data are in digital format, further challenge is to ensure their long-term preservation, through the accordance with standard file formats and the execution of conformance tests by memory institutions. Subsequently, digitised cultural data needs to be re-used at best. This means unlocking their business potential in terms of fostering economic growth. 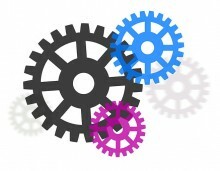 Creative industry is certainly the key stakeholder to leverage on the digital cultural data for creating new tools and services to be placed in the real market, so generating new employment and economic rewards; to achieve this goal, a greater dialogue should be fostered between industry and the cultural sector, in the light of developing public-private partnerships for the benefit of both. Next to this, it is also important to assess the sociological impact of digital cultural heritage and technologies: how do they participate in the community building and cohesion processes of the “new” European society, that is living now a moment of great change? How can digital cultural heritage help cultural institutions renew and re-invent their role in society? How can cultural heritage become closer to its audiences of innovators, skilled makers, curators, artists, economic actors? And finally how can the European citizens, individually or as part of a community, play a vital co-creative role and contribute to the research on cultural heritage and digital humanities? Experts from the partnerships of E-Space, RICHES, Civic Epistemologies, PREFORMA and Photoconsortium led the discussion panel trying to provide answers and solutions to the challenges issued by the digital heritage era. Relevant speakers, coming from key institutions in Europe which are involved in the scenario of digital cultural heritage,discussed to understand the path towards a more advanced society, that makes use of the full potential of digital technologies to foster cultural and societal progress. The panel was an unmissable occasion for sharing knowledge and best practices: cultural managers, ICT experts, researchers, service providers and other European projects were invited to attend, for cross-dissemination and networking. Neil Forbes is Professor of International History at Coventry University and Co-ordinator of the FP7 RICHES project – Renewal, Innovation and Change: Heritage and European Society. His research interests and publications lie in the following fields: conflict heritage, contested landscapes and the memorialisation of war, creative archiving and cultural heritage, the processes of financial stabilisation in Europe after the First World War, Anglo-American relations and the rise of the Third Reich, the interaction of foreign policy formulation and diplomacy with the business practices of multinational enterprise during the interwar years. He has played a leading role in a number of European and UK research projects, including a £1m digitisation project in association with BT and The National Archives. Director at Promoter SRL, small engineering company in Pisa (Italy). Since 2002, Technical Coordinator and Communication Manager of numerous European projects in the domain of digital cultural heritage, digital preservation and digital humanities, smart cities, creative re-use of digital cultural content, citizen science, crowdsourcing and e-Infrastructures. Previously, Project Officer at the European Commission, multimedia development manager at Tower Tech SRL in Pisa, video controller development manager at Olivetti Advanced Technology Centre in Cupertino (CA) and engineer at Olivetti Pisa and Ivrea. Dr Börje Justrell is Director and Head of Operational Support at the National Archives of Sweden and coordinator of the PREFORMA project. Since 1989, he has been responsible for technical matters at the National Archives. Justrell has been teaching archival science at the University of Stockholm for many years and also been a member of international committees within the archivists’ professional association, ICA. He has been representing Sweden in expert groups on digitisation and digital preservation within the European Commission and working in a number of European projects like Minerva, MinervaPlus, Linked Heritage, DC-NET and DCH-RP. He was coordinator of the European project PROTAGE for digital preservation in the seventh framework programme and between 2003-2009 he was responsible for an advanced international training programme for developing countries, conducted by the Swedish National Archives and sponsored by the SIDA, the Swedish International Development Cooperation. Sy Holsinger is currently a Senior Policy and Strategy Officer at EGI.eu, working on sustainability planning, business model development, market analysis and IT service management implementation. He studied Business Communications and Management in the U.S., focusing on project and financial management, business development, marketing and communication messaging. He has been involved in several EU-funded projects covering both management and support roles such as leading the commercial activities in the series of EGEE projects. His previous experiences include the U.S. Air Force and Teaching. Frederik Truyen is programme director for the MA in Cultural Studies at the Faculty of Arts of Katholieke Universiteit Leuven. He publishes on E-Learning, ICT Education, Digitisation and Epistemology. He is in charge of CS Digital, the mediaLab of the Institute for Cultural Studies, and is involved in many projects on Open Educational Resources (such as Net-CU, OCW EU and LACE) and in the digitisation of Cultural Heritage, such as RICHES, Europeana Photography and E- Space. Prof. Truyen is President of the Photoconsortium association. Sarah Whatley is Professor of Dance and Director of the Centre for Dance Research (C-DaRE) at Coventry University. Her research interests include dance and new technologies, dance analysis, somatic dance practice and pedagogy and inclusive dance practices. Her current AHRC-funded project is “InVisible Difference: Dance, Disability and Law”. She is also coordinator of the EU-funded project E-Space, which is exploring the creative reuse of digital cultural content, and is researching the impact of digital technologies on dance and performance-based cultural heritage in the EU-funded RICHES project. Working with leading cognitive psychologists, she is also researching dancer imagery as part of a Leverhulme Trust funded project. She led the AHRC-funded Siobhan Davies digital archive project, RePlay, and collaborated with the University of Surrey to create the Digital Dance Archives portal. 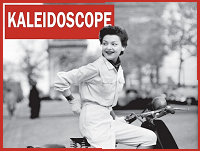 She has published widely on archival practices in dance and performance. She is Academic Advisor: Digital Environment for The Routledge Digital Performance Archive. She is also Editor of the Journal of Dance and Somatic Practices and sits on the Editorial Boards of several other Journals. This panel session is addressing professionals, projects and initiatives in the domain of Digital Cultural Heritage, digitisation, digital arts, digital performances, digital humanities and digital preservation. Aim is to highlight the latest progress in the research on digital cultural heritage, trying to understand what happens to cultural heritage after it is digitised and what to do with this mass of digital cultural data. Being the theme so important, inter-disciplinary and multi-faceted, fostering reciprocal awareness and cooperation is the key to cope with the common challenges: cultural managers and researchers are warmly invited to attend.